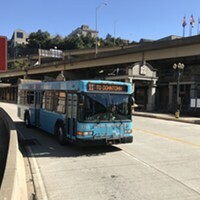 This week Pittsburgh City Council considered a measure sponsored by District 9 Councilor Ricky Burgess that would provide resources for the city's most disadvantaged neighborhoods to undergo comprehensive community planning. "A lot of our communities, especially our poor communities want to see development," said Burgess. "But they don't have the capacity to really form collaboratives or they don't have the money to do comprehensive planning." Burgess said his proposal would replicate success that has been seen in Larimer where community planning has led to several residential and commercial developments in recent years. "The goal is that each of the communities over years would get the attention of the city, the resources of the city," says Burgess. "If left up to itself, we'll never get to some of these neighborhoods, we just won't. What this does is systematically every year pick three or four of them. So over the course of four or five years we will reach all of these communities and give them access to what we know works which is comprehensive community planning." 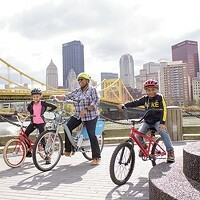 Neighborhoods would be ranked based on 15 indicators that have been developed by Pittsburgh's city planning department. The data points will include criteria such as the percentage of vacant lots in a neighborhood. 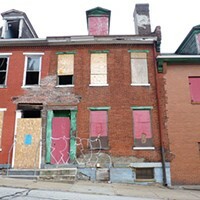 The six neighborhoods who score the lowest will be targeted for additional resources. District 2 Councilor Theresa Kail-Smith said she would be supportive of providing additional resources for struggling neighborhoods, but said she hopes residents will be in charge of driving changes in their neighborhood. "Not all neighborhoods that might meet this criteria might agree with what we think should happen and some of them might not even want to see development," said Councilor Theresa Kail-Smith. "I want to help the neighborhoods that want development, but I want the neighborhoods to tell us." Some city councilors at the meeting on Dec. 2 wondered whether there would be money allocated to back up the measure in order to ensure neighborhoods are receiving the resources they need for planning. "What I don't fully understand is once you're one of these six, is there a guarantee of any kind of money," said District 8 Councilor Daniel Gilman. "I understand the goal, but I don't understand the meat of what you actually get for being one of the six." Burgess said council would work with Mayor Bill Peduto to find funding streams. Currently, the plan is for each neighborhood to get $100,000 over three years to fund the planning process. "If you don't do the ground work, just throwing money at a community doesn't actually bring about change," said Gilman. "So if there are dollars involved I'd like to see it spelled out in the legislation that it goes to that planning process." The legislation was held for one week.